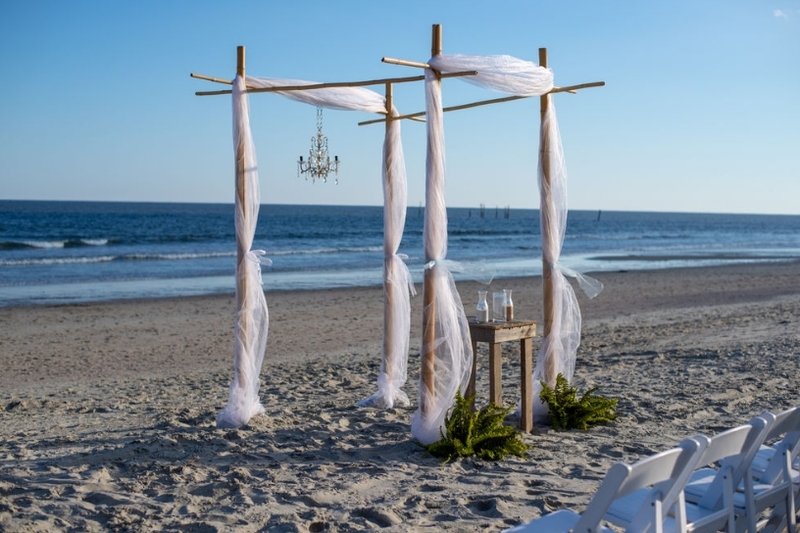 This is the ultimate Myrtle Beach wedding package. If you are looking for a wow factor, this is definitely the choice for you. Start with an eye-catching four post alter with a chandelier to stand under. 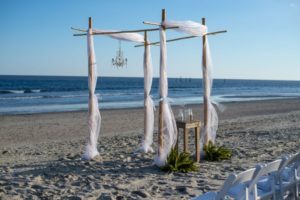 Beautiful accents abound with a rose petal aisle, heart in the sand, music and flowers. Your guests will know just what to do with your hand-painted wedding sign and guestbook sign in stones. It will all be captured by the photographer and you will have the vow bottle as a keepsake for the day. Professional Photographer: Includes 50-100+ edited, high-resolution photos that are sent via Download link. The photographer will shoot for up to one full-hour of the ceremony and formals afterwards. A print / copyright release are included to make your own prints. Typical turn-around time is about 1 week following the ceremony! *Pre-ceremony and Reception service are available for $100/ Half Hour additional.